Patent pending status is an excellent way for inventors to showcase their inventions to potential producers without getting their ideas stolen. Most manufacturers will play fair in terms of respecting intellectual property rights, but most will not sign nondisclosure agreements before they are able to see an invention. Patent pending status is one of the approaches used by inventors to bridge this gap. Once an inventor has filed a patent application, they can mark their invention as “patent pending” before they show it off to manufacturers This reduces the chance that your idea will be stolen because few manufacturers want to risk being hit with patent infringement lawsuits in the future. However, filing a patent application is a complex and expensive process, and so filing a provisional patent application may be a better option for many inventors. 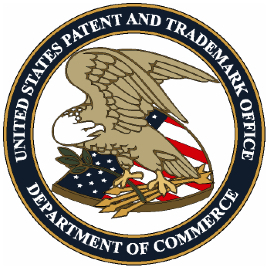 A pending patent on an invention means that the idea has already been registered with the US Patent and Trademark Office (USPTO), but that the patent has yet to be granted. In this status, there is no legal protection that exists, however most companies still see the value in using this phrase as a deterrent to those who may want to develop a similar product or rip off the invention for their own gain. To use the term “patent pending” on your invention, you must have already filed a patent application with the USPTO, including all relevant paperwork and all fees. Patent pending status can then be used to discourage similar patent applications from others. It is also a good idea to hire a patent lawyer to make sure that you have met all the USPTO standards during the process. Patent pending status can be a great way to quickly test whether there is any marketability and interest in your invention idea. If there is a positive response from manufacturers, then you can patent your invention with greater confidence that the idea can be profitable.